A post on ‘jewel of Triplicane’ ….Chennai, from Chennapatnam to Madras to what it is today has come a very long way…….. and one area of specialty being ‘medical treatment’ available here… that has a long and cherished history… Centuries ago, in Nov 1664 - Sir Edward Winter, an agent of the East India Company started the First British Hospital at Madras to treat the sick soldiers of the East India Company. The Hospital was housed at the Fort St. George. In 1690, the then Governor Sir Yale, was instrumental in its development by giving new and larger premises within the Fort. In 1772 after the Anglo French War, the Hospital was moved to the present place. The Hospital started training Europeans, Eurasians and Indians in Modern Medicine (Allopathy), methods of diagnosis, treatment and, preparation of medicines. These trained personnel were posted to various dispensaries in the district head quarters of the then Madras Presidency to assist the qualified Doctors. 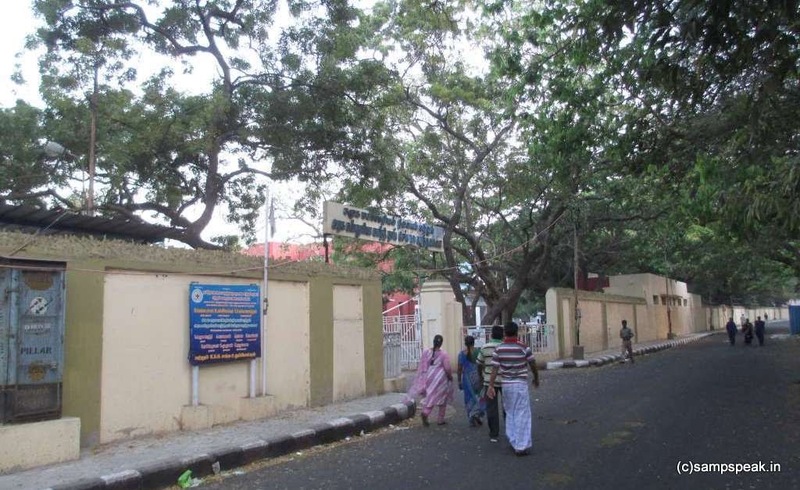 Triplicane houses century old specialty hospital for women famously known as ‘Gosha Hospital’ - now named after Kasturba Gandhi, the wife of Gandhiji. One needs to go back to the history of the Nation, the State and of the locality to understand the significance of this hospital. 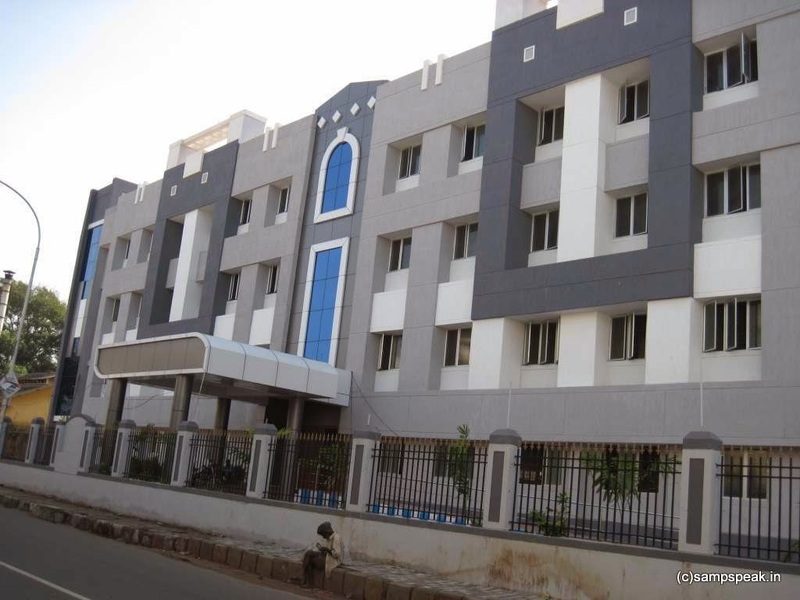 This hospital has its main entrance near the Bharathi Salai [earlier Pycrofts Road] side near Triplicane Bus Terminus and the other side at Bells Road [Babu Jagajivan Ram road]…… in 1600s, Triplicane was a separate village. After about a century, British found Triplicane to be a good area for settlement and a large number of people moved there. In 1882, Kasturba Makhanji married at the age of 13. In South Africa, during the 1913 protest against working conditions for Indians in South Africa, Kasturba was arrested and sentenced to three months in a hard labor prison. In 1944, she breathed her last while imprisoned at Aga Khan Palace in Pune. According to the Indian Encyclopaedia - a Gosha or a Gosha woman is one who follows the Islamic law of concealing herself from the sight of men, except certain close relatives. 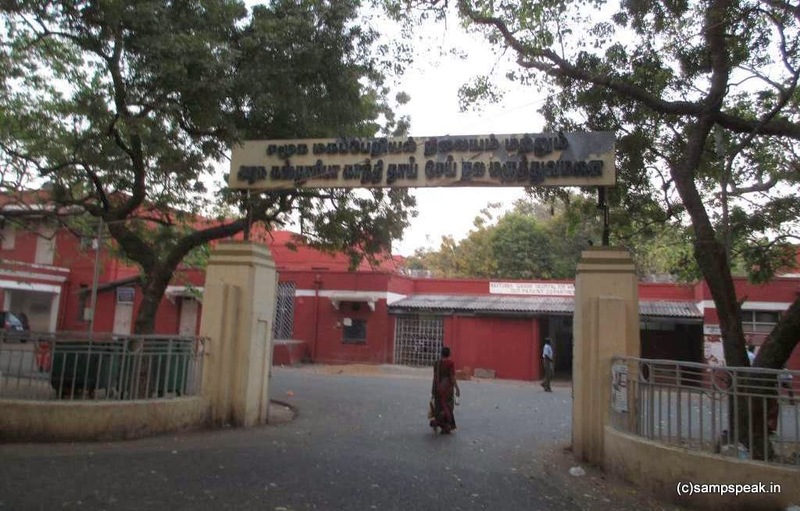 The Government Kasturba Gandhi Hospital for Women and Children of Chennai was earlier called The Royal Victoria Caste and Gosha Hospital. As it served the muslim women in purdah, the hospital acquired the name ‘Gosha hospital’ which has come to stay. This hospital was founded in 1885 has rendered 125 years of service for the Women by the Women. Very unlikely you would have heard of ‘Mary Anne Dacomb Bird’ – (‘Mary Anne Scharlieb’)… who came to Madras as the wife of William Mason Scharlieb in 1866. Anne Dacomb at 19 met William Scharlieb in London, where William, a person of German descent, was studying law. Mary and William married much against the wishes of her parents in December 1865. William decided to practise law in India and soon after their marriage they sailed to Madras where William set up his practice. In Madras, they had a son in 1866, a daughter in 1868, and a son in 1870. While in Madras, William edited the Madras Jurist, a journal for practising lawyers. Mary Anne helped him in this task. On one occasion, she had the opportunity to read Sir Joseph Frayer’s article on the plight of Indian women during childbirth. They were restricted from seeking medical help during complications, mainly because the medical practitioners then in India were men. A deeply concerned Mary Anne was keen to study medicine; she joined midwifery training and also did voluntary service as a ‘nurse’. When Edward Balfour pioneeringly decided to open the gates of Madras Medical College for women. Mary Anne was among the first four women to take advantage of this opportunity. She was admitted to pursue a Licentiate in Medicine & Surgery (LM&S), a three-year programme then offered at Madras Medical College. After graduating 1878, she returned to England with her children. There she met Dr. Elizabeth Anderson, the only qualified medical woman until 1877, who had just then started the London School of Medicine for Women (LSMW). Mary Anne’s extended stay in India and her frail physique did not impress Anderson. She thought that Mary Anne was physically unfit to pursue a stressful degree programme. But her perseverance own and in Nov 1882, at the age of 37, she was awarded her MB degree by the University of London, with Honours in all subjects and a gold medal in obstetric medicine. Mary Anne was the first woman to win this distinction in the annals of the University of London. She then went to Vienna (Austria) to train in surgical obstetrics ~ and to our fortune, she with her husband returned to Madras in 1883. With support from the then Government, largely influenced by Edward Balfour, who was the Surgeon-General at the time, the Queen Victoria Hospital for Caste and Gosha Women was founded. From a lecturer on forensic medicine to midwifery she rose to become the Chief Gynecologist……. Eventually retiring with glory in 1909. In 1917 she was made D.B.E. In 1928 she received honorary LLD from Edinburgh. At Gosha hospital her routine started early in the morning with visits to patients in their houses; rounds of thirty beds, lecture to women students at MMC, consultations, visits to European patients and at bed, was often disturbed by urgent complicated cases. Her spectrum further expanded as back home in 1920 she was appointed as one of the first women magistrates and despite her advanced age she took the keenest interest in all that she did, especially in the Juvenile Courts. She received the honour of Dame of the British Empire in 1928 for her work, both medical and social. In November, 1930, after some months of failing health, she passed to her rest. ……….at this stage, we may never understand and appreciate that frail lady who accomplished things which were all barriers at that point of time. I have walked alongside Victoria hostel road bypassing Gosha hospital so many times, but never knew of this great women – because of whom so many have had proper medical treatment … perhaps a statue or at least a tableau describing her deeds needs to be there at Gosha hospital. 2) On the podium of Thiruvallikkeni Thiruvizha on 2nd Feb 2014, I spoke on ‘3 ladies of Thiruvallikkeni’ – the 1st of course was Ms Anne Bird; 2nd Sister Subbulakshmi and 3rd Vai Mu Kothai Nayaki ammal …. I have posted earlier about Vai Mu Kothai Nayaki ammal … one on Sister Subbulakshmi would follow at some point of time. Heart is one among the most important body parts; pumping blood and making it reach all over blood vessels besides supplying oxygen in the body. So solve his problems there are top cardiology hospitals in India Considering today's fast changing environment, lifestyle, obesity and other factors, cardiac care has become very significant these days.